Cindy Brummer is CEO and Creative Director of Standard Beagle, and our company’s founder. A designer, developer and all-around go-to-gal, Cindy has been working with online media since 2003. She is passionate about user experience, interactive design and fantastic content. She launched Standard Beagle in 2012. She loves building websites, working with her clients, and solving problems. 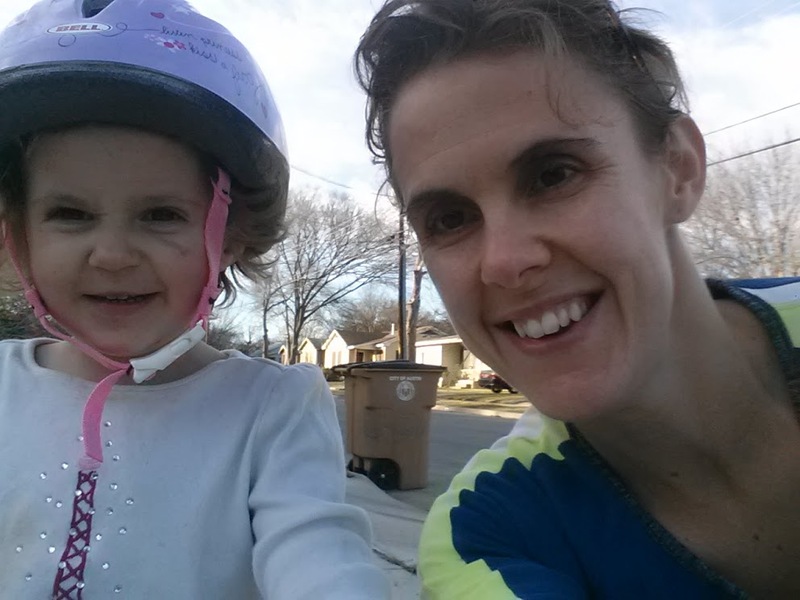 Cindy is a UT grad, former Crossfitter, and mom to her two little joys. The first week of my gym’s Crossfit Challenge is officially complete, and fortunately I was able to fit in all three extra workouts, plus not slip up on my nutrition. This was my OIlympic Lifting workout on Wednesday, Jan 16. And while most of the time I try not to come up with excuses, he was probably dead on in that case. And many others this week. I just didn’t want to be cold. 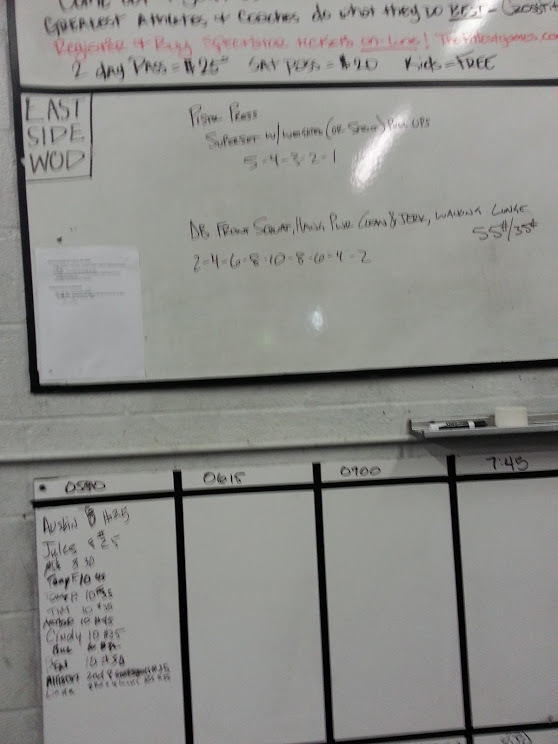 It wasn’t until Friday morning that I pulled it together to actually do an early AM WOD on my own. 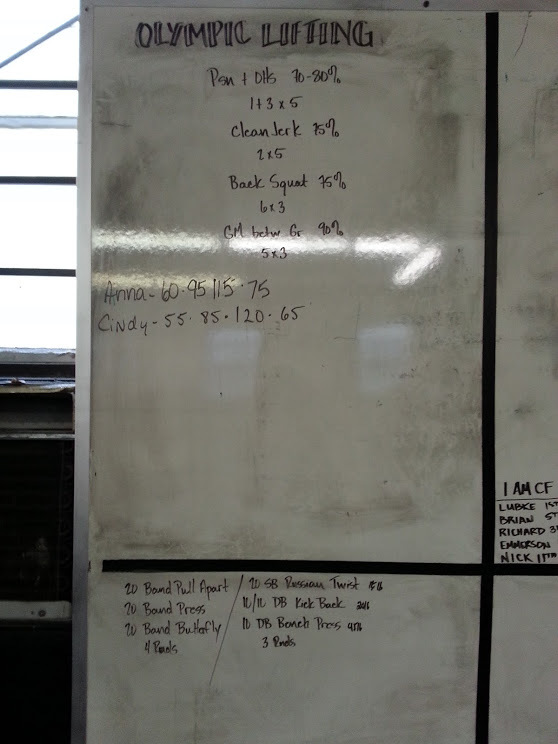 The whiteboard at Crossfit on Thursday, Jan 17. I guess there’s a reason why I go to CLASSES. I’m less likely to flake out. Today I had planned to do the Austin Gorilla Run, a 5K that benefits mountain gorilla conservation. That would have coincided nicely with this week’s endurance WOD, which was a 1, 2 or 3 mile run for time. Unfortunately, it conflicted with the Beekeeping class Andy bought me for Christmas, and beekeeping won out, Oh well — at least I’ll have the gorilla suit for next year. Instead, I ran 2 miles in my neighborhood. I probably should have run 3, but the instructions said you should only choose the 3 miles if you have a 9 min mile and can run 3 in under 27 minutes. I wasn’t sure I could. Turns out I may have been able to. Time: 17:48. I definitely need some new music. The playlist on my phone is atrocious. 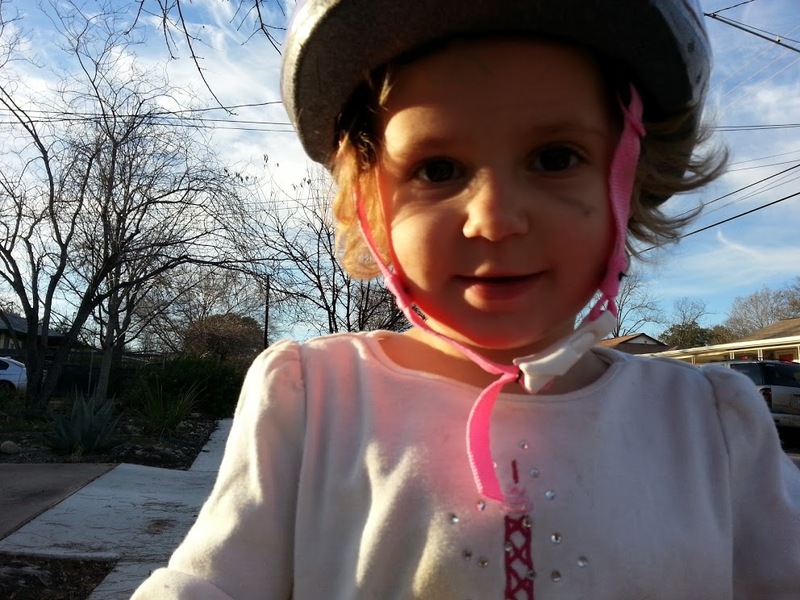 Afterward, I hung out with the kids while they rode their bike and trike up and down the sidewalk in front of our house. It’s so cool watching their progress. 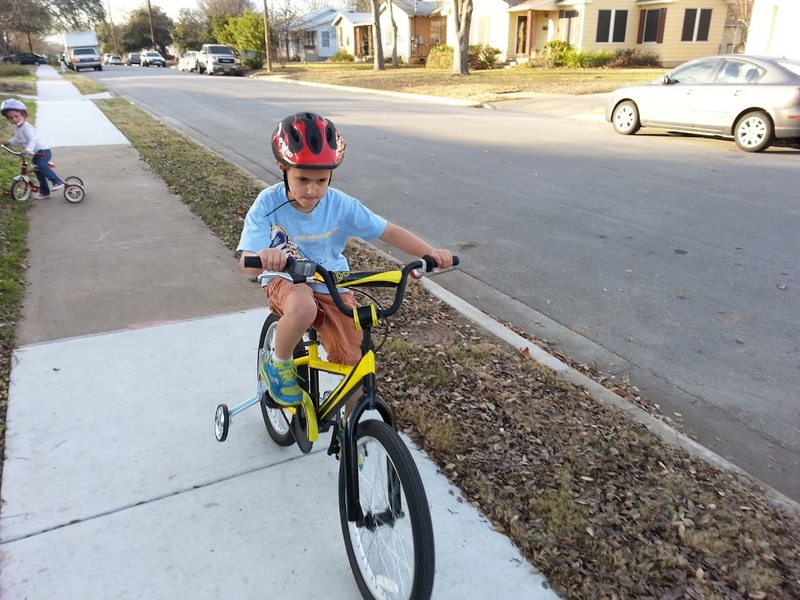 Both of them have gone from not being able to pedal or steer to zipping up and down the sidewalk with ease — within weeks!